We have all necessary conditions for provision of services for pharmaceutical companies and drug chains. We will confidently ensure smooth operation of a DC. New facility complies with all professional and legal requirements. Our customers are the best guarantee of our professionalism. Our own licensed pharmacy warehouse provides pharma industry with an optimal scheme for storage, handling and delivery of medical products. We take care of the entire logistics chain – pick-up from suppliers up to-door delivering to drug stores nationwide. 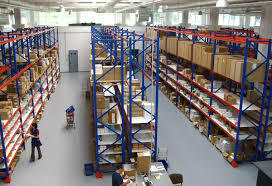 New pharma warehouse is equipped with the most modern equipment and meets all international requirements and standards.